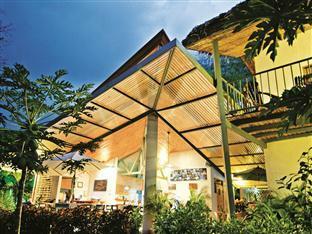 ﻿ Book Hotel Sol Samara (Costa Rica) - 2019 PRICES FROM $101! Have a question for Hotel Sol Samara? Conveniently located in Samara, Hotel Sol Samara is a great base from which to explore this vibrant city. The hotel lies 3.0 Km from the city center and provides accessibility to important town facilities. With its convenient location, the hotel offers easy access to the city's must-see destinations. Hotel Sol Samara offers impeccable service and all the essential amenities to invigorate travelers. To name a few of the hotel's facilities, there are free Wi-Fi in all rooms, Wi-Fi in public areas, car park, room service, restaurant. In addition, all guestrooms feature a variety of comforts. Many rooms even provide internet access – wireless (complimentary), non smoking rooms, air conditioning, desk, mini bar to please the most discerning guest. 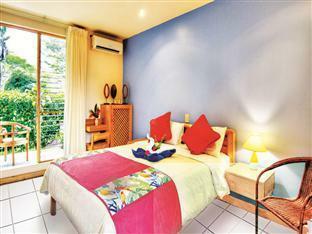 The hotel offers an excellent variety of recreational facilities, including outdoor pool, garden. When you are looking for comfortable and convenient accommodations in Samara, make Hotel Sol Samara your home away from home. Wir waren für 4 Nächte im Sol Samara und sehr zufrieden mit dem Hotel. Die Zimmer sind sauber und groß und das Personal ist freundlich. Das Frühstück war auch gut. Das Hotel liegt nicht weit vom Strand, allerdings sind es ca. 30min Fussweg bis ins Ortszentrum.